Krups burr coffee grinder is cheap and good. 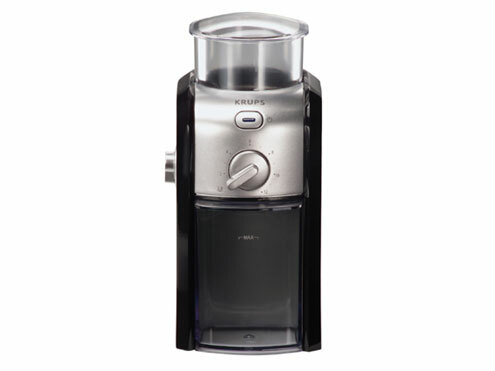 The Krups burr coffee grinder GVX2-12 model is a matter-of-fact type of kitchen equipment. It doesn’t have much accessories or features, but it sure can deliver what it is built for to do- grinding coffee. 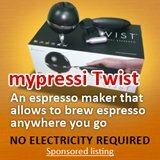 With this coffee grinder what you see is what you get. 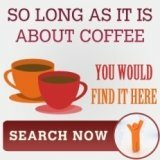 All of its features are designed specifically for the purpose of producing good quality coffee grounds. First, there’s the airtight bean hopper in order to maintain freshness and the anti-static bean container with lid, both are able to hold up to 8 oz. of coffee. Next is the Fineness Selector of up to 17 different settings which grinds coffee from fine to coarse, suitable for all kinds of coffee makers. Another cool feature of this Krups burr coffee grinder is the Quantity Selector. 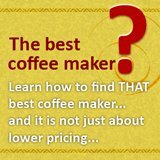 Simply set how many cups of brewed coffee are you grinding the beans for, let the burr coffee grinder do its job, and once it’s done you can dispense the ground coffee straight to your coffee maker and brew away. It also has a blue illuminated on/off light, so you’ll know whether the coffee grinder is still processing or not. It’s just so amazing when coffee mills can be this quiet! More so, there really is no need to ‘guard’ this coffee grinder as it shuts off automatically when the grinding is done. Much more, it is equipped with a special safety feature whereas the burr grinder will not operate unless the lid to the bean hopper and coffee container are in place. Now, that is one feature I’m particularly looking for in coffee grinders. I’m sure there are other people like me who sometimes forget to put the lid back on, and this safety feature will keep us from accidents. Last, but not the least, it comes with a free cleaning brush. As if to say that this coffee grinder really means business, so better keep it in good condition. Since the Krups burr coffee grinder GVX2-12 model is a conical burr coffee grinder, it’s neither noisy nor messy. 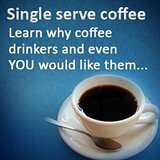 Plus, it does not produce friction therefore preventing beans from overheating and preserving their aroma and flavor. And yhis Krups coffee grinder GVX2-12 model is being sold for about $70, reasonable price for a burr grinder of such quality and performance, don't you agree?